We park the car, climb out, and wander into the grassy park. The shade trees provide a pleasant relief from the warm California sun. We pass families picnicking, nod “good afternoon” to the couples walking their dogs, and roll our eyes at the loud volume of the music coming from the party tables. Finally, we reach our destination: a sculpture elevated on a stone pedestal with a historic marker. In 1846 – here in the town of Sonoma, California – a group of Americans made a history-changing stand, pulling Alta California from Mexico’s grip and preparing to hand it over the United States. However, on that early morning of June 14, 1846, the Americans could not have fully imagined the impact of their actions. They had a plan, and they had hopes, but they had no guarantee of success. 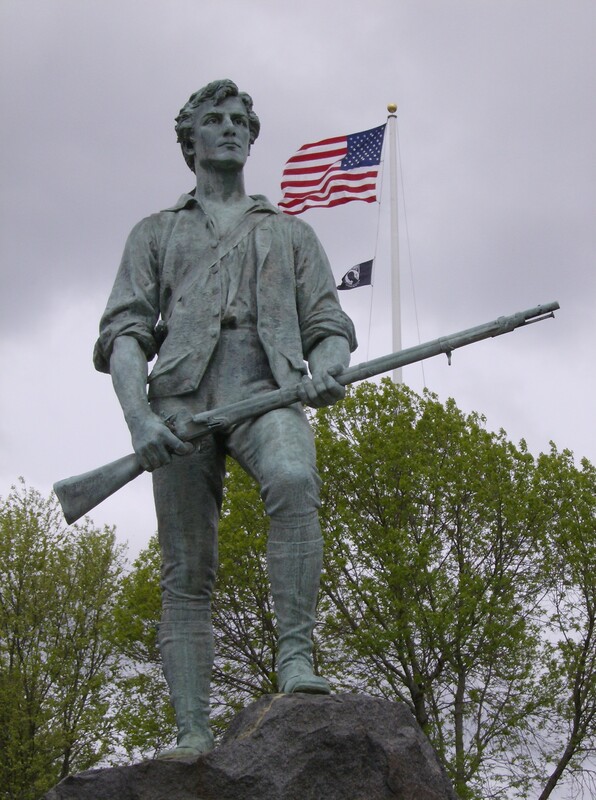 Marching into a garrison town and declaring a new republic was audaciously American. Though removed from the main theater of the Mexican-American war, the efforts and actions of these settlers would have great impact on the conflict and on the future of both countries. By 1846, the Mexican colonial government of Alta California turned a suspicious eye on the newly-arrived American settlers in their territory. Unlike previous immigrants to the colony who had become citizens and a legal part of the colony, these new immigrants – coming across the eastern mountains – arrived, established themselves, and resented the local government’s attempts to naturalize them. About 30 Americans marched from Napa Valley to Sonoma, arriving before sunrise on Sunday, June 14, 1846. They entered the town, awoke the comandante, and with the aid of a translator insisted on surrender. Negotiations deteriorated and the comandante and several other citizens were held hostage. William Ide, one of the American leaders, wrote a declaration stating that the Mexican government of California was overthrown and inviting all California citizens to join and create a Republican Government. 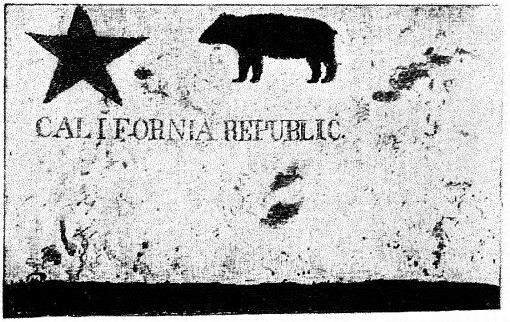 This Bear Flag was designed by William L. Todd and was an early model for the modern California State Flag. The flag designed and created by the “rebels” in Sonoma became the pattern for the California State Flag. Now flown alongside the U.S. Flag, the “flag of the dreadful bear” remains an important and living symbol of California and American history. (The original Bear Flag crafted by Todd was persevered by it was eventually destroyed in a fire). Glancing around the modern-day park in Sonoma’s town center, I notice the old Spanish mission and the remains of the barrack buildings. This plaza is perfect place to reflect on the mixed histories and cultures that have created the state of California and, indeed, America itself. Cultures and civilizations have risen and fallen, leaving behind the best of their architecture, heritage, and ideas for future generations to explore and learn. 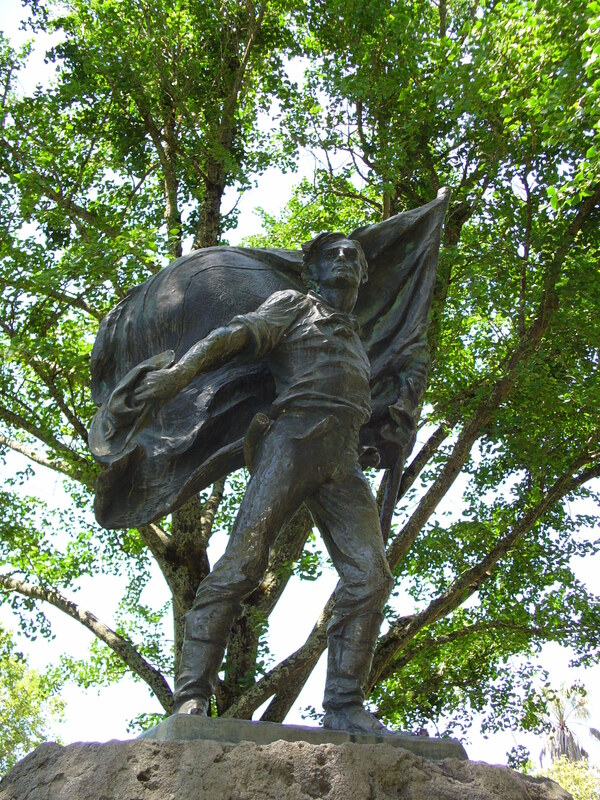 The statue commemorating the Bear Flag Revolt has a resemblance to the sculpture on the village green in Lexington, Massachusetts (site of the opening shots of the Revolutionary War, 1775). Both men look ahead at some unseen point – the future, perhaps – and stand ready to defend an idea of freedom. The Bear Flag Revolt of 1846 signified a turning point in California history and would add a new facet to the Mexican-American War. It was an event that appeals to the imagination. Why? Perhaps because Americans have always had a fondness for so-called “rebels.” From the minutemen at Lexington, to the pioneers at Sonoma, to the gray-clad men at Sumter, and our modern world-wide allies searching for their own freedom, the idea of standing up for a cause, freedom, or self-government has been a crucial part of America’s heart. I’m Sarah Kay Bierle, historian, editor, and historical fiction writer. When sharing history, I try to keep the facts interesting and understandable. History is about real people, real actions, real effects and it should inspire us today. 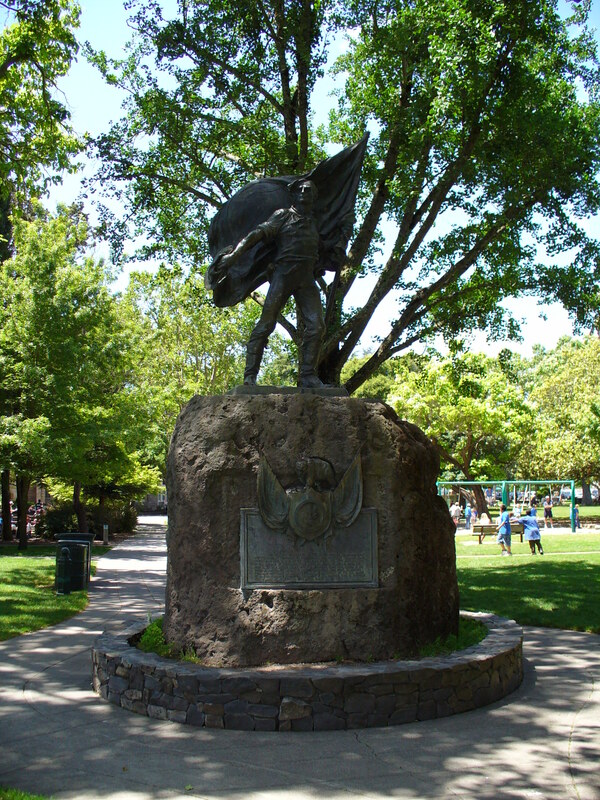 This entry was posted in Mexican War and tagged Bear Flag Revolt, California, Mexican-American War, Mexican-American War 170th, Sonoma. Bookmark the permalink. Sonoma Barracks is a great place! I really have felt a link with the past there. Too bad there is not more info available on the Mexican/Californio army of that time. I recently came across a mention that when General Vallejo was a young Lieutenant, he was involved in a clash with local Yokuts at Lagos los Tules (Tulare Lake, which has now disappeared) near where I live. So far, I have failed to find more info on this incident, but I am intrigued that w have a connection to this famous Californio. That’s fascinating, Ron! 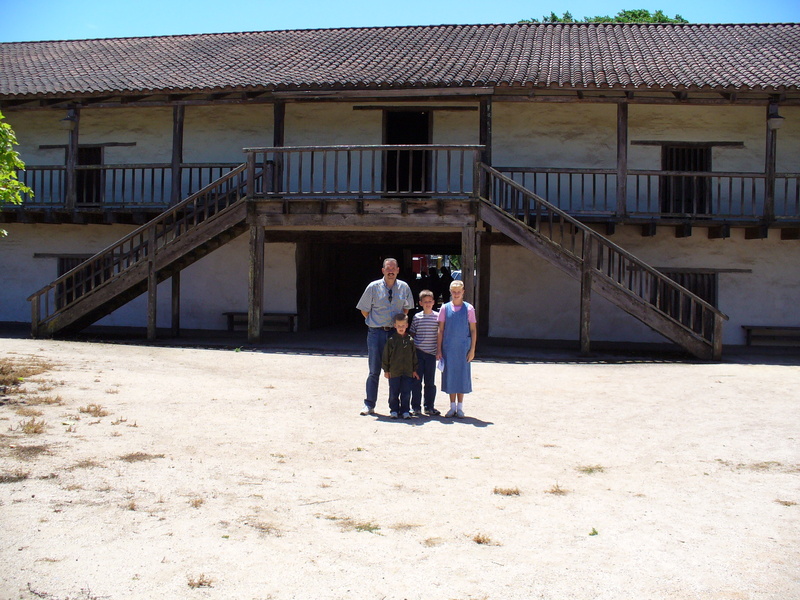 Yes, it would be nice to know more about the Californio troops prior to 1846. I wonder if our state archives have any helpful documents?